Soumya M C Research Officer (Ayurveda) Regional Ayurveda Research Institute for Life Style related Disorders, Poojappura, Trivandrum, Kerala, INDIA. Sinimol TP Research Officer (Ayurveda) Regional Ayurveda Research Institute for Life Style related Disorders, Poojappura, Trivandrum, Kerala, INDIA. Varsha Sumedhan Research Officer (Ayurveda) Regional Ayurveda Research Institute for Life Style related Disorders, Poojappura, Trivandrum, Kerala, INDIA. The medicinal value of a drug is usually determined based on its pharmacological properties. In traditional practice Sigru (Moringa oleifera Lam.) is used in the management of various diseases. It is necessary to have knowledge of the pharmacological attributes of a drug to use it correctly for the treatment. The pharmacological properties of Sigru has been explained in various ancient text books of Ayurveda. This review will keep an eye on the different properties of Sigru mentioned in various Ayurveda text books. M C, Soumya; TP, Sinimol; SUMEDHAN, Varsha. PHARMACOLOGICAL ASPECTS OF SIGRU (MORINGA OLEIFERA LAM.) IN VIEW OF AYURVEDA. 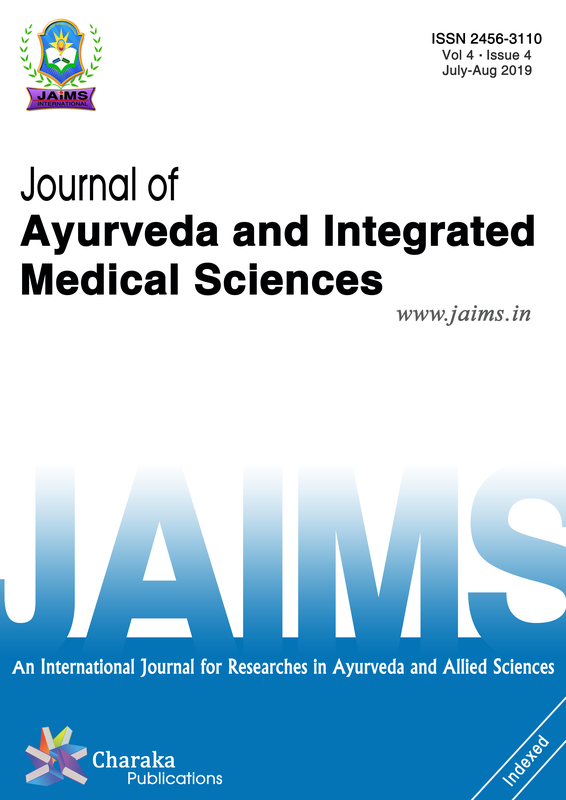 Journal of Ayurveda and Integrated Medical Sciences (ISSN 2456-3110), http://www.jaims.in/index.php/jaims/pages/view/Citation, v. 4, n. 1, p. 39 - 42, mar. 2019. ISSN 2456-3110. Available at: <https://jaims.in/index.php/jaims/article/view/756>. Date accessed: 25 apr. 2019. doi: https://doi.org/10.21760/jaims.4.1.7.